The exponential growth of cryptocurrencies and other blockchain based applications has led to a dramatic increase in energy consumption. A problem extensively featured in many recent articles. Extremely high energy consumption: Really a blockchain-inherent problem? 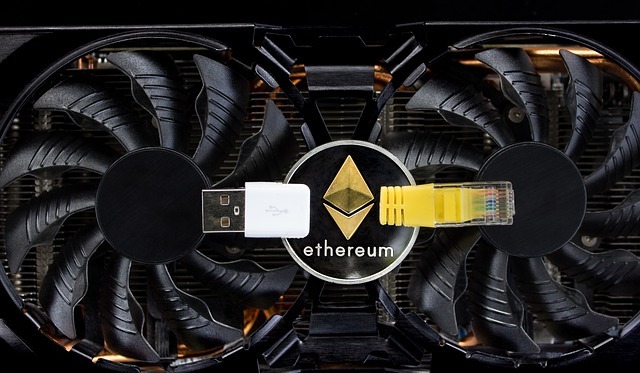 The depicted problems do certainly not only apply to blockchain technology: Energy consumption is a concern for almost all computing-intensive applications, including data-centers used for internet-based server hosting, cloud computing, or rendering farms. One blockchain-specific problem, however, is the proof-of-work (POW) concept that is essential for stabilizing and protecting the underlying cryptocurrencies. The trade-off is the requirement of a comparably large amount of computing power. One may now start to question this POW principle. On the other hand, since for most of the cryptocurrencies, this principle will likely not change in the near future, one may also try to find a solution to better use the energy required. This is exactly the approach that the envion AG, a Swiss-based startup from Berlin is following. 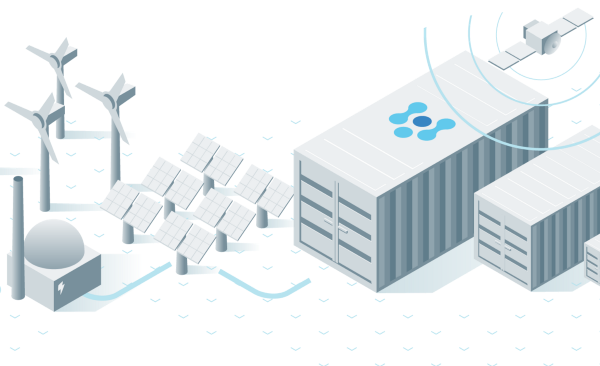 With a fleet of standard, ISO 20ft sea container-based mobile data-centers, the company is currently offering a mobile data-center with unprecedented efficiencies, and particularly a version optimized for cryptocurrency mining. “Automation and modularization of data centers, including optimization for better power usage effectiveness (PUE) is something that is of utmost importance for our society”, states Jasper Hellmann, CMO at the envion AG. Although cryptomining is quite an energy-hungry process and one might question the needs for the large amounts of energy that are wasted, Matthias Woestmann, CEO at envion AG is certain: “Someone will do the mining somewhere on the planet.” Since return on invest significantly depends on energy prices, a threatening development with monopolization to only a few, very large mining farms in certain countries with often unstable political situations is seen, giving them “an awful lot of power over what was once meant to be a widely distributed, decentral process”, Woestmann states. The team behind Woestmann, Hellmann & Krusenbaum is convinced that their company, which has filed patents on 34 aspects of mobile data-centers, will change the way how data-centers are currently working: “During the past few years, the return-on-invest in cryptomining is just awesome, and these returns should be handed back to the community”.Expansion of their container fleet, of which a working prototype has already been established, shall be driven by an initial coin offering (ICO), allowing the public to participate in the success. 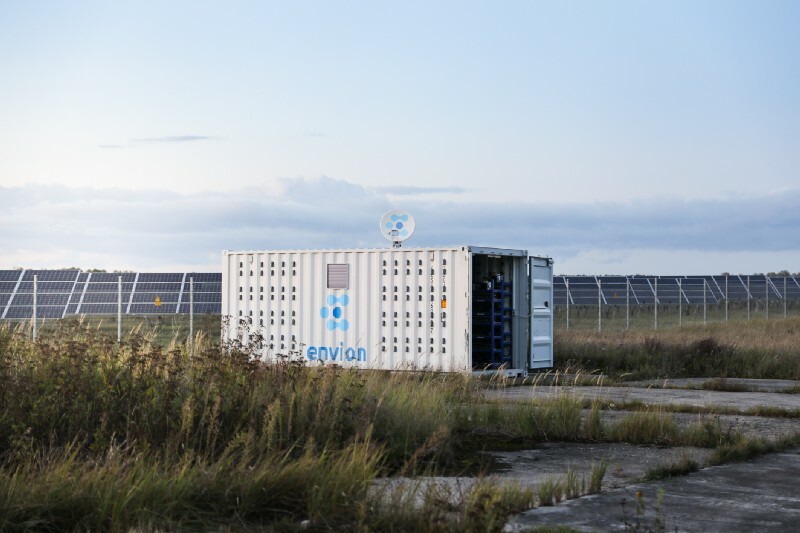 The mobile mining units (MMUs), how the ISO certified seda containers are called at envion, can be deployed virtually anywhere in the world, at solar, wind, hydro or other power plants for the use of local (over-)capacities. Envion’s MMUs incorporate a patent-pending, highly efficient, yet simple and maintenance-friendly cooling system. Industry 4.0 automation features, including remote control capabilities, proprietary software solutions altogether result in an extremely high efficiency for a data center. While conventional mining farms in China or Russia simply blow out the waste heat into the environment, Envion’s MMUs can be deployed virtually anywhere, also inside heated industrial halls or heated greenhouses. The thermal energy from the MMUs can thus be targeted to where it is actually required. “We are currently running tests in a large industrial hall that is normally heated”, Felix Krusenbaum explains. “This way, we can turn down the hall heaters, and indirectly save energy. 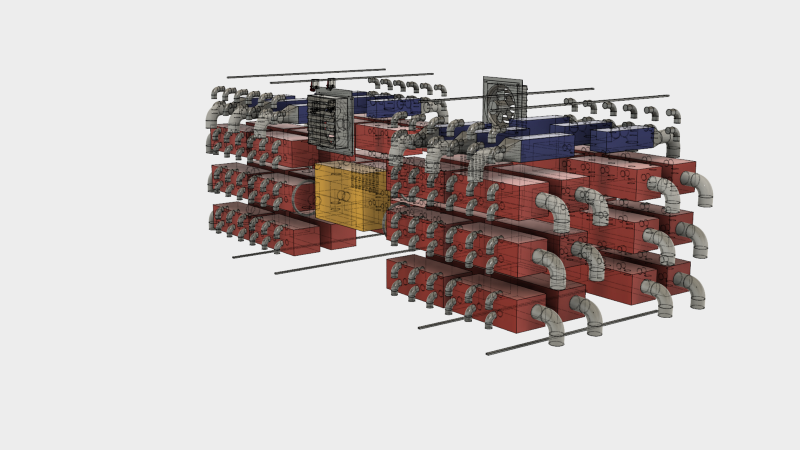 This does not only make our concept more profitable but also cuts down the CO2 footprint of our endeavor.” Even a “plug-and-mine home heater” for small households is on their list of inventions, precise plans, however, are still confidential and expected to be released early next year. 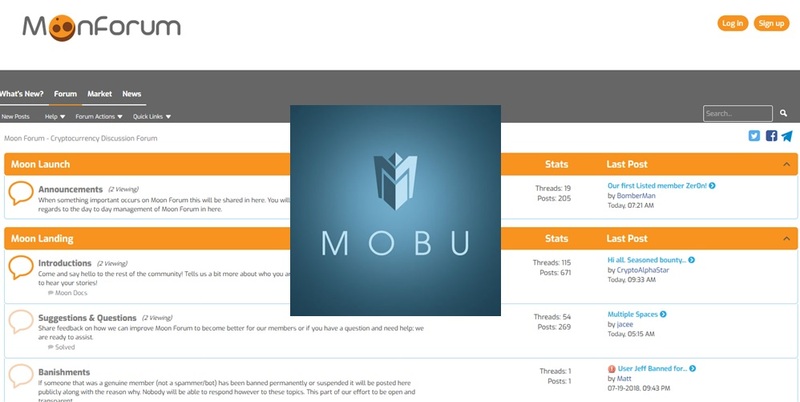 Previous story INS Ecosystem ICO Review : Best Upcoming ICO, Why Should You Participate?